Flexibility, range of motion and strength are all deeply interconnected. From improving your weightlifting to reducing the risk of injury in workouts, find out why flexibility is so important for you. So How important is flexibility for Crossfitters? Did you stretch after today’s workout? If you did, provided that this type of training is a regular part of your program, chances are that in time you will gain a significant advantage over that fellow Crossfitter at your Box who always heads home as soon as they have completed each session. Moreover, you have given tears, strains and sprains a solid reason to avoid you, at the same time keeping a tight rein on any deviations of the spine which may appear due to different factors. Whether or not you are already aware of the importance of flexibility in both your training as an athlete and in daily life, this article sets out to show the numerous ways in which this feature of the human body affects your sports performance, health and well-being. Flexibility is most correctly defined as the range of motion passively covered by bones and accompanying muscles around a joint. In turn, according to the Oxford Dictionary of Sports Science and Medicine, the aforementioned range of motion represents “the angle through which a joint moves from the anatomical position to the extreme limit of its motion in a particular direction”. Flexibility is vital for many different activities. It is calculated as the difference in degrees between the angle at the joint when the latter is fully extended (which corresponds to its anatomical position) and the respective angle formed as a result of maximum flexion. The term “passively”, which is used in conjunction with the range of motion in the given definition of flexibility, describes the action of a second person or of a machine upon a joint without the subject making any effort. As it has been shown, flexibility is a concept essentially dependent on and hence defined by means of range of motion. Therefore, it must be explained in close correlation with this. Joints have different ranges of motion, according to the function of the body parts connected to them. The greatest range of motion (or ROM) is that of the shoulder, which can create wide movement in different planes through abduction, flexion and extension, as well as through lateral and medial rotation. Athletes of all disciplines constantly take the ROM of their joints to the limit in the various exercises they perform. As the modern daily life of humans does not require the agility of other organisms, the joints are not actively trained unless one exercises. However, athletes, Crossfitters and gymnasts in particular, offer particular examples of how it is possible to greatly improve ranges of motion, and thus increase flexibility. By looking at this link between ROM and flexibility, we can observe that, despite popular belief, the latter is not one general concept concerning the body as a whole, but rather a specific feature which must be understood in relation to a certain joint. Take, for example, the oversplits of a gymnast: they are made possible by the wide ROM in her hips. Following up on the example of the oversplits, this is a type of static stretching executed with a full range of motion, which, as the name indicates, implies the maximum angle the joint is able to create in that particular situation. The concept also applies to dynamic exercises such as those which are part of strength training: squats, push-ups, pull-ups, etc. A full range of motion in this case enables the engagement of muscle groups to a greater extent. As it has been shown, gymnastics is heavily reliant on performing with full ranges of motion, both in their passive (splits and oversplits) and dynamic forms (leaps, high-amplitude turns and balances). However, for athletes from certain disciplines, working with partial ranges of motion is also advisable. One of these concerns those willing to develop their control of their body: for example, the Pilates method, of which the latter is one of the basic principles, features numerous exercises involving partial ranges of motion, which are mostly used as a way to train control in preparation for the execution of the complete movements (with a full ROM). The same approach is also often utilized by sports based on explosive movement, such as track and field and Crossfit, as partial ranges of motion allow the muscles to stretch and shorten faster, which is highly desirable in disciplines of this kind. 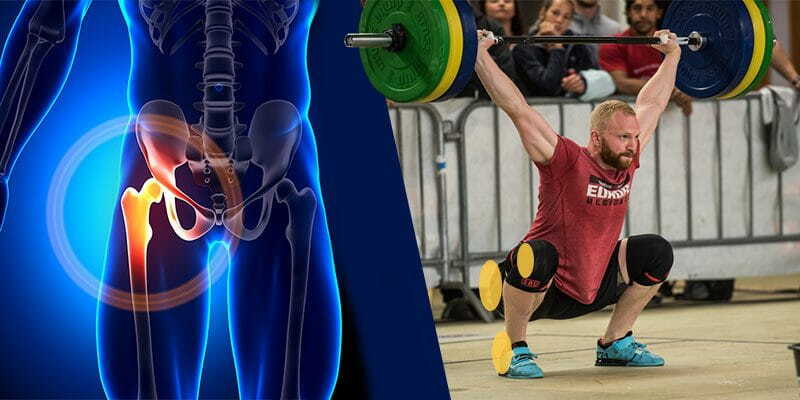 Other cases in which the use of a partial ROM is encouraged are the rehabilitation training following an injury or surgery and the prevention of the former. Returning to the importance of stretching and increasing the joints’ ROM, it is essential to also look at the link between the flexibility gained in this way and strength. While gymnasts are the first examples of athletes that come to mind when we think about the combination of the two concepts, weightlifters also show remarkable flexibility besides the strength which defines them. Similarly, crossfitters require good hip, shoulder and ankle flexibility, especially for training with different types of weights. Crossfit very often encourages the execution of exercises with a full ROM in order to maximize gains in strength by increasing the engagement of the muscles. Therefore, the more flexible an athlete is in a certain joint, the more they will activate the corresponding muscle groups by working with a large ROM, thus more efficiently improving strength in that part of the body. Performing squats and other exercises with heavy loads overhead subjects muscles and joints to high amounts of stress, which can result in tears, strains and sprains if the respective parts of the body do not undergo frequent flexibility training. It is crucial that the athlete is able to repeatedly reach a certain range of motion without risking injury caused by inadequate flexibility. The threat of a tear is even more serious if the exercises involve heavy weights, as these forcefully impose unusually wide ranges of motion on the joints. Besides being an element of fitness which allows for the correct execution of numerous exercises specific to different sports and which greatly improves performance in most disciplines, flexibility plays additional, vital roles in competitive gymnastics. Undoubtedly, it lies at the core of all branches of the sport, representing a key component of both the scoring criteria and the aesthetic pleasure they offer. Without sufficient flexibility, some skills cannot be performed at all: take, for example, the indispensable handsprings in an artistic gymnastics floor routine, for which a flexible spine is necessary. Furthermore, the failure to reach certain positions during the execution of other skills attracts deductions for poor form, a common example for this being a split leap, for which points are subtracted from the score if the gymnast’s legs do not form an angle of minimum 180 degrees. Finally, flexibility brings benefits not only in our sports performance, but also in our daily lives, allowing us to be more agile in getting about and performing different common tasks with a lesser risk of injury. The stretching of the muscles that accompanies an increase in a joint’s range of motion obtained through flexibility training also prevents the muscles and ligaments from becoming tense and causing discomfort. One of the most common symptoms specific to a lack of flexibility training is back pain, the occurrence of which is nowadays particularly linked to the countless hours many of us spend sitting at a desk in front of the computer. 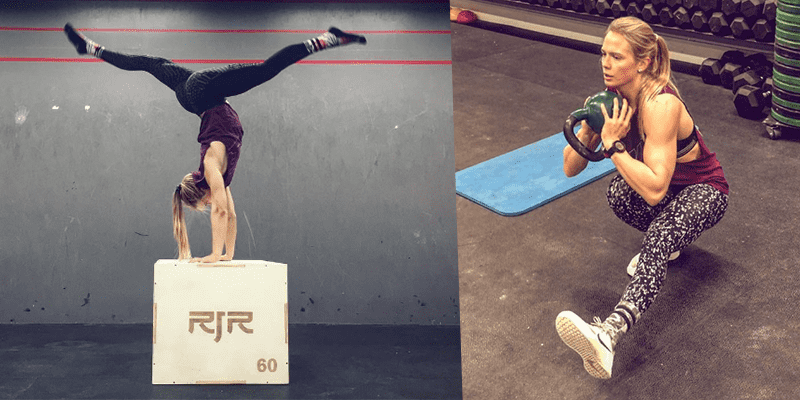 Good flexibility is an essential requirement for both gymnastics and other sports or types of exercise, which is nonetheless often ignored by many amateur and professional athletes alike. Stretching is an excellent way of improving the range of motion in your joints, leading to better athletic performance, as well as to more ease in executing a number of daily tasks. So make it a part of your training program or increase the amount of time you already spend on it to enjoy all the benefits it offers for strength, agility and injury prevention!